Ideas, inspiration and things that make people do their jobs better. 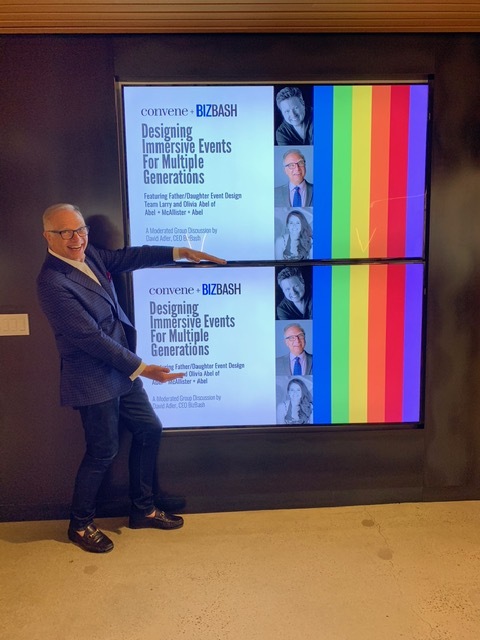 This is how David Adler, founder and CEO of BizBash describes what his company and its annual New York event, held at the Jacob Javits Center, is all about. BizBash covers the event industry completely, from planning, production, new openings, events and trends in marketing, design and style, to food rules planners need to follow for meeting menus. There is no stone left unturned for David and his company when it comes to connecting with people and their products. 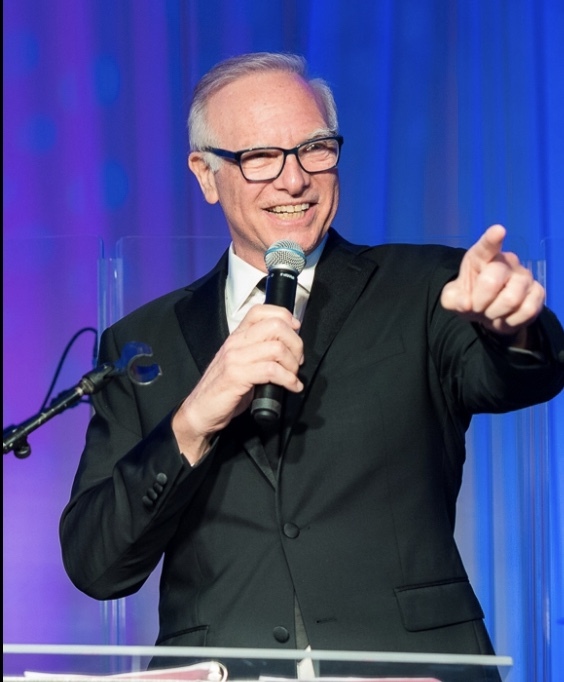 It’s “contact” not “content” that is king for him and as publisher of the BizBash recently relaunched print magazine, David is “mayor of the niche,” as he thinks all publishers of magazines are. But he’s not only a publisher but a media entrepreneur as well, one who is always working on collaboration as a tool to change the world. From the Washington Dossier Magazine, which he founded, to working for PriMedia where he was VP of corporate communications, David is a man who has both intriguing ideas and the experience and knowledge to back them up. His belief that augmented reality and the printed page is where the future is headed is hard to argue with when he puts his proof on the table. 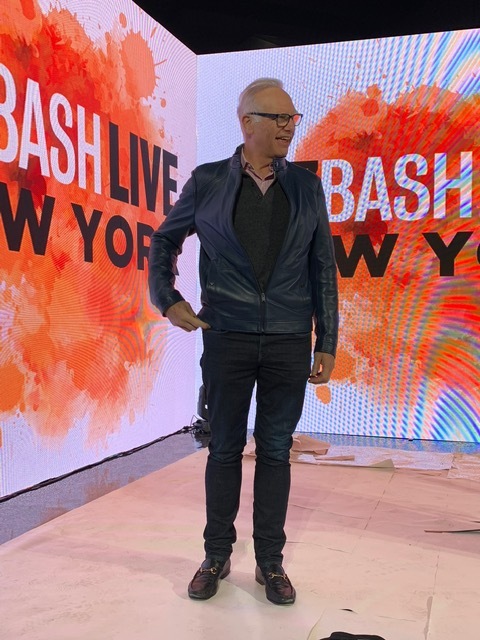 I spoke with David recently and we talked about BizBash magazine’s return to print with its debut of augmented reality-enhanced content. The relaunched print and digital magazine brings editorial features and advertising to life through an app-based augmented reality program. And as far as the future of print, David believes this is the new “reality.” Merging the printed page with the digital screen to have true integration is the goal, and bringing the print magazine experience to digital could possibly humanize online so that it doesn’t feel like a reader is freefalling through cyberspace. It’s innovation at its best. And now the Mr. Magazine™ interview with David Adler, founder and CEO, BizBash. 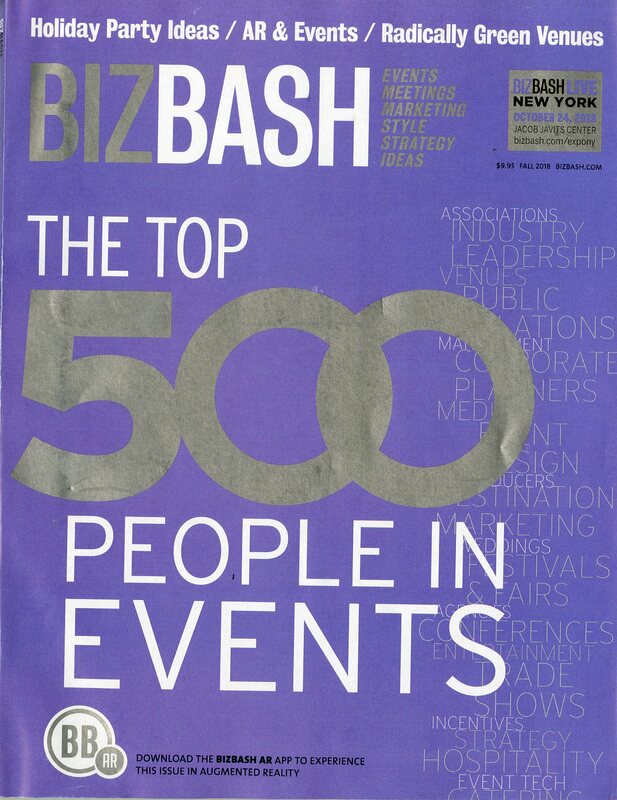 On the successful BizBash event that recently took place: This was our 18th year of doing our BizBash Trade Show. The first year that we did it was 9/11. We had scheduled it for around the end of September, so we had to move it a month and a half because the Jacob Javits Center was being used for the emergency situation there. And even the first one started out really well too, because it became a reunion of the whole industry and it helped to bring the entire industry together. That’s kind of where I learned that leadership is an important aspect of it. The way I think about media is that when you publish a magazine, you’re the mayor of your niche. And that’s like you’re running a political office almost. On what exactly the event is about: The New York event is held at the Javits Center in one of the big halls. And you walk in and you feel like you’re walking into the brand. It’s packed with ideas and inspiration, things that make people do their job better and love their job. For example, one of our exhibitors was a grandma hugging. Grandmas came and they hugged you as you entered. (Laughs) It was incredible. Every year there are new things that are in the business, such as we had a used meditation van that somebody brought in, because meditation is now part of events. People want not only to get together, they also want to have some private time alone. On being in the “contact” business not the “content” business: I believe that because content is everywhere, you can find it everywhere, contact is king, not content as much anymore. You have to have good content, but you can get that anywhere, but you can’t get you and me in the same room together, having a conversation that we can build this relationship on that extends online and in all different ways. And so the Holy Grail now is the contact, especially in the B to B world. The contact is the king element. 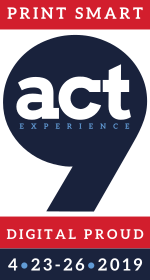 In order to make it contact is king, it also has to be experiential. And experiential is very hard because every time you have an experience once, you have to up it the next time. On bringing his print product back after stopping it: We did magazines in five or six different markets in New York, L.A., Chicago, Miami, and Toronto for years. Then what happened after the recession is that everybody said that print was dead and all of my brilliant advisors, who were in the investment banking field, said that I wasn’t going to get any valuation if I ever wanted to sell, so I made the decision to kill print while we were still doing good. You know, for a few years you couldn’t just rely on the cash flow from online and events and print became a really important aspect, but we found that out later after we’d killed it. So, we brought it back. On how even the advertising industry has responded well to it as the current issue is over 200 pages: Oh yes. It’s a big thick issue that we say has that “plop” factor. Over 250 to 300 pages, it has been an incredible success and I was able to pack it with videos of me on the front page, explaining what the hell it was. We had an overlay of every single ad that had all of the details behind the ads, because the key to it is not to go crazy with it, but make it a data-driven thing so someone can sit and look up the page and click on it and make a phone call, to click on it and find the website you’re going to have, and click on it and see other information. On the launch of a photo essay type segment within the magazine: We’re doing more large photo essays, but we’re combining them – and we’re also using podcasts – I’m doing very multimedia podcasts, photo spread stories and everything so that you can take one piece of content and use it in every possible place. We’re doing it with customers as custom-content as well. I think that the sponsored content is so boring sometimes that you need the editorial voice in the content to make it better. We’re using large photography for that of the people in our industry and we’re kind of doing it in ways that are more provocative as opposed to safe. On now that he has brought the printed product back if he thinks the future will be an easy path: It’s not that I’m bringing print back, what I’m doing is turning the printed page into digital. And that answers the question that all of these brilliant investment bankers have of how do you create a digital product out of a print product? And I think that’s going to solve the investment issue, because the print product becomes a screen on top of the printed page. On some of the challenges facing the B to B community: That’s easy. They’re not taking risks. They’re so busy being me too and follow the leader. The fact that I was able to do this and all of the big companies are just so far behind is kind of amazing. And I made the decision to do it within a very short period of time. And was able by using technology, and not the most expensive versions of it, to test it out and practice. A colleague at PriMedia used to say, we have to practice before we do, so we’re kind of in the practice stage of all this stuff, because the minute you stop practicing, you stop innovating. On whether there was any different feeling working for a company, such as PriMedia and being an entrepreneur as he is with BizBash: I loved PriMedia; I loved the idea. And what I found to be the common denominator among the magazine people was the innovation of the content and the business side together. I love communications and I knew all of the magazines; I had a newsstand in my office with 350 magazines from Hog Farmer to New York Magazine. And we were doing incredibly interesting things that helped promote the whole company. So, you had to look at it a little differently. On anything he’d like to add: I think the magazine business is really hard now and it’s all corporate-driven, so everybody is afraid to do things and they’re afraid to make changes. That’s a hard thing and I don’t know how to solve that problem entirely. But I think scaling in certain areas is a good thing and trying things that don’t work makes you stronger. On what he believes is the biggest misconception about himself: I think some people think that what I do is lightweight. And what I have found is that I have studied the social physics of how humans gather and how important it is. People used to not take us as seriously as they should. I used to feel that people in the event industry were sitting at the children’s table for Thanksgiving, but now when you see the books about social physics and the studies of how important conversations are at an event and how important learning and development is and how important having fun at events actually adds to the learning experience. I think people begin to take me more seriously the minute I start talking to them about the most powerful word in the English language is the word “let’s,” because whenever people get together they say “Let’s go to lunch,” “Let’s go to dinner,” “Let’s hook up and start a revolution.” It actually is true. On what someone would find him doing if they showed up unexpectedly one evening at his home: I’m doing a lot of audio books now. And I’m totally into things like sapiens and I’m listening to “Civilization,” which is a 40-hour, 10-book series on all of the different civilizations. And I get such joy out of listening. I’m an auditory learner, so listening to books is really good. I love watching television too; I’m a total news junkie. I grew up in Washington D.C. and the idea that I’m the mayor of the news comes from the idea that I grew up in Washington and I always wanted to run for office. Then I found out that being the publisher of a media company or a magazine is even better. You get all the good, but not the bad. On what keeps him up at night: One of the things that I get ragged on is that I have a million ideas and I am obsessed with actually executing the ideas that I come up with. And making sure that the ones I want to do, I really do well. And to me it’s I want to finish that job; I want to finish this job. But at the same time, I want to go to the next thing too. So, it’s like there’s not enough time. And now the lightly edited transcript of the Mr. Magazine™ interview with David Adler, founder and CEO of BizBash. Samir Husni: You recently returned from New York where you had a very successful event. 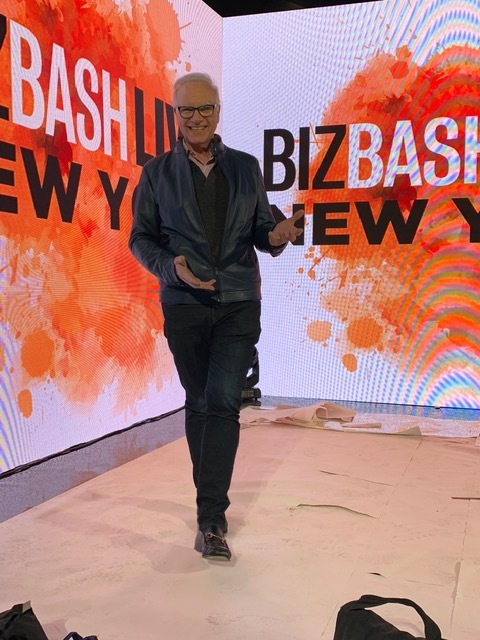 David Adler: Yes, this was our 18th year of doing our BizBash Trade Show. The first year that we did it was 9/11. We had scheduled it for around the end of September, so we had to move it a month and a half because the Jacob Javits Center was being used for the emergency situation there. And even the first one started out really well too, because it became a reunion of the whole industry and it helped to bring the entire industry together. That’s kind of where I learned that leadership is an important aspect of it. The way I think about media is that when you publish a magazine, you’re the mayor of your niche. And that’s like you’re running a political office almost. Samir Husni: As the mayor of BizBash who has been elected for 18 consecutive years, tell me a little bit about the New York event that took place recently. David Adler: The New York event is held at the Javits Center in one of the big halls. And you walk in and you feel like you’re walking into the brand. It’s packed with ideas and inspiration, things that make people do their job better and love their job. For example, one of our exhibitors was a grandma hugging. Grandmas came and they hugged you as you entered. (Laughs) It was incredible. Every year there are new things that are in the business, such as we had a used meditation van that somebody brought in, because meditation is now part of events. People want not only to get together, they also want to have some private time alone. There are all sorts of different types of photo booths, you can take a photo in a DeLorean, for example. So it’s all of these ways that people are getting engaged at live events. And what we do in the magazine and in our media play is allow people to peek over the fence and see what other people are doing to give them the inspiration to create these things on their own, give us that emotional touchpoint. So I think that we achieved it. We basically do a conference called “The Event Innovation Forum,” which I call a live journalism piece, where we bring in six speakers who are not necessarily professional speakers, for example, one was the head of Condé Nast events, Erica Boeke, who talked about how Condé Nast uses events to engage. We had agencies with clients like BMW that were talking about how events were the way to touch clients in ways that they had never done before. You can see why magazines and media products are moving to events, because it’s the only place that you can actually look your audience in the eye and can see them and touch and feel them. And an editor can actually get correct feedback, which is something that hasn’t happened for years in magazines because everyone is always in their ivory tower, and they relied on surveys which don’t really work. Samir Husni: In this age of screens or this age of isolated connectivity, where everybody is attached to their laptops or to their mobile phones, you mentioned recently when I saw you in New York and we were chatting that you are not in the content media business, you’re in the “contact” business. Can you expand on that a little? David Adler: Yes, I believe that because content is everywhere, you can find it everywhere, contact is king, not content as much anymore. You have to have good content, but you can get that anywhere, but you can’t get you and me in the same room together, having a conversation that we can build this relationship on that extends online and in all different ways. And so the Holy Grail now is the contact, especially in the B to B world. The contact is the king element. In order to make it contact is king, it also has to be experiential. And experiential is very hard because every time you have an experience once, you have to up it the next time. Samir Husni: Part of that contact and part of that deal is that you had a print magazine and you stopped it, and then you came back to it. Can you tell me that story? David Adler: Yes, I came back. Let me give you the context of the entire company. I started the company in 2000 as an online venture only. I was head of corporate communications for PriMedia and I was spending millions of dollars on events. We did everything from Seventeen magazine’s 50th anniversary to New York Magazine’s 25th and the Daily Racing’s 100th anniversary. We were using events for all of these different products and I saw that there was no marketplace. You just talked to friends and said who can do this and who can do that, so we realized that there was a need for it in the marketplace. So we started, basically, this directory business with the event industry. Then I started going to events and seeing who did what at the events to conclude a contextualized database. My family started something referred to as real estate by the month, and what I’ve figured out with BizBash is that we’re the real estate by the hour business. The first thing that anybody needed to do was create a place to have an event. And once they had the place, they needed then to do other things to engage people. And so we started out as an online product, then got very involved after 9/11 helping to promote New York City, so we started a print product. Then we went to the Javits Center and the people there said they wanted to get all of their customers together and asked could we do a trade show for them. So, for the first three years the Javits Center gave us a free trade show, which launched our whole company. We did magazines in five or six different markets in New York, L.A., Chicago, Miami, and Toronto for years. Then what happened after the recession is that everybody said that print was dead and all of my brilliant advisors, who were in the investment banking field, said that I wasn’t going to get any valuation if I ever wanted to sell, so I made the decision to kill print while we were still doing good. You know, for a few years you couldn’t just rely on the cash flow from online and events and print became a really important aspect, but we found that out later after we’d killed it. So, we brought it back. And the reason we brought it back was because last year I was at a Will.i.am event for one of my customers, one of the people that we cover, and I heard Will.i.am talk about his graphic novel that he’d created. And he made this really compelling case about using print and then he talked about his augmented reality that he overlaid on top of print. And then it was a blinding light in my brain that said augmented reality is the ultimate “use” case for magazines because there’s a boundary to a magazine that makes it usable. It’s not like Pokémon Go where you’re holding your phone in the air and you’re seeing all of these crazy things going on. If you use augmented reality correctly and create a CMS for your AR, it’s all about data and it will be a way to enhance the experience tremendously with print. And I think that we’re still in the beginning stages of it. We started the magazine last year and we did really, really well. And we’re now going to go from three times a year to probably four or five times a year within the next couple of years. And when I announced it at our L.A. show back in the Spring, the audience stood up and cheered because there was a need, especially in our industry, to touch it and to see it. And to have a place where they could go back and explore things, because we’re basically the brainstorming tools of the event industry in an era that experiences have to get better every year, so everyone is under pressure to keep scoring for good, new ideas. Samir Husni: It seems that even the advertising industry has responded well. Your current issue is almost 200 pages. David Adler: Oh yes. It’s a big thick issue that we say has that “plop” factor. Over 250 to 300 pages, it has been an incredible success and I was able to pack it with videos of me on the front page, explaining what the hell it was. We had an overlay of every single ad that had all of the details behind the ads, because the key to it is not to go crazy with it, but make it a data-driven thing so someone can sit and look up the page and click on it and make a phone call, to click on it and find the website you’re going to have, and click on it and see other information. It can’t be too complex in the beginning right now and it has to be built on a CMS the same way that content is built on a CMS, so it’s easy to do. And we’re evolving and learning how to do it and it’s not as expensive as people think. I hired some outside developers who are not in the magazine business, who are in the gaming business, and I sort of had to drive the ship in terms of what I wanted. We wanted to keep it sort of like that movie “Minority Report” that had that overlay of all the data; we tried to make it more of a “Minority Report” model as opposed to a very graphical thing, because that made it much cheaper and also you can’t have a lot of bandwidth, right now at least, in an AR. So there’s a certain way to do it correctly. I think it’s going to be everywhere in our industry at some point. It certainly is going to revolutionize the event industry because you’ll be able to go into an event, hold your phone up, and you’ll have all of the information about the speaker around them while they’re speaking. So then you don’t have to necessarily print more documents and you’ll have queues and all sorts of deeper data that you’ll be able to put into the presentations. You’ll be able to go to a booth at a trade show and hold up your phone and you’ll be able to know all of the data around that. Eventually, you’ll be able to hold your phone up and see who the person is because of the AR aspect of it. I think it’s going to be incredible. You’re also going to be looking at an hors d’oeuvre and you’ll know how many calories are in it. It’s just the beginning. It’s even better than virtual reality, because an augmented reality situation makes you part of the room as opposed to a VR situation that makes you sort of isolated in your own world. Samir Husni: In addition to that, you’ve also launched in the recent issue “First Impressions,” which is more of a photo essay. David Adler: Yes, we’re doing more large photo essays, but we’re combining them – and we’re also using podcasts – I’m doing very multimedia podcasts, photo spread stories and everything so that you can take one piece of content and use it in every possible place. We’re doing it with customers as custom-content as well. I think that the sponsored content is so boring sometimes that you need the editorial voice in the content to make it better. We’re using large photography for that of the people in our industry and we’re kind of doing it in ways that are more provocative as opposed to safe. 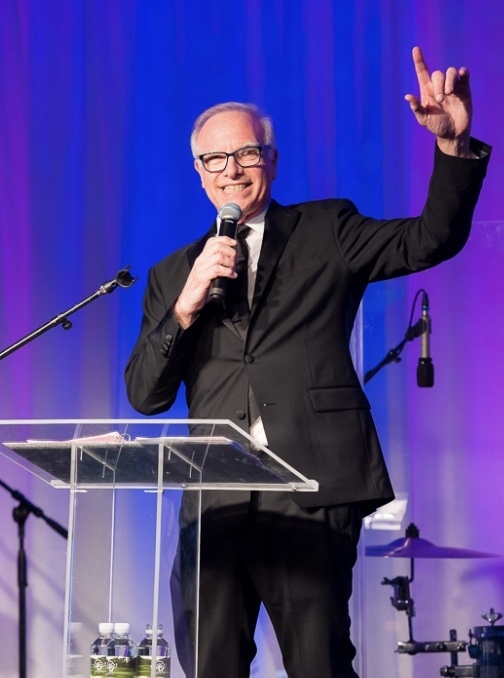 We’re in an era in the event industry…and I think in the magazine industry we’re trying to break the fourth wall; we’re in an era where intimacy is more important. And you want to see the producer actually come up onto the stage in a sense and say, “Okay, now you have to do this” or “Now you have to do that,” because we all want to be behind the scenes. And whether you’re political or not, you see what Trump is doing and you see what YouTube is doing and what all of the different Instagram’s are doing, it’s all about the breaking of the fourth wall. And magazine people have to get less uptight about that. And it’s hard to do, but you can have video content that is about how you did your interview, within the interview using AR too. So, you’re able to get that emotional piece. Samir Husni: Since you brought print back and since you’re seeing growth in the contact industry, do you think the path ahead will be a walk in a rose garden now? David Adler: It’s not that I’m bringing print back, what I’m doing is turning the printed page into digital. And that answers the question that all of these brilliant investment bankers have of how do you create a digital product out of a print product? And I think that’s going to solve the investment issue, because the print product becomes a screen on top of the printed page. And also the joke is with millennials, they get a magazine and say, “Oh my, they printed it out for you!” And it’s kind of funny that we go back to the concept of the dominant theory of media, but the stuff that you thought was all gone becomes even more important and becomes more specialized if done well. Samir Husni: What are some of the challenges facing, not specifically BizBash, but the entire B to B community and media brands? David Adler: That’s easy. They’re not taking risks. They’re so busy being me too and follow the leader. The fact that I was able to do this and all of the big companies are just so far behind is kind of amazing. And I made the decision to do it within a very short period of time. And was able by using technology, and not the most expensive versions of it, to test it out and practice. A colleague at PriMedia used to say, we have to practice before we do, so we’re kind of in the practice stage of all this stuff, because the minute you stop practicing, you stop innovating. The sales people learning how to use it is a really hard thing. Having a CMS for this was part of the key learning. We put it out right at the same time the new iPhone came out and some of the technology wasn’t ready for it, so we also learned that we have to future-proof it in different ways. We’re also now getting feedback directly from customers, because the other thing that I don’t believe in is survey feedback. I believe in observational feedback. That’s one of the things that we did at our trade shows and that we do on our magazines. Talking to a customer, especially for a CEO or something like that, to actually talk to customers and have lunch with people, is great. Tom Peters was on a podcast recently with Kara Swisher and he was talking about the whole AI (artificial intelligence) movement that’s happening and that it’s going to kill us if we don’t move to the idea of radical humanism. And his version of radical humanism was going out to lunch with people. Take a 27-year-old out to lunch and you’ll learn more than all the surveys that you’ll never really analyze anyway. And for me, that’s what I do. And the one thing great about the event industry and when you go to an event, is you’re talking to people at the event. And it becomes your built-in focus group. It makes us sharper than ever before because we actually have to talk to our customers. I think that CEO’s are terrible hosts, and so now what I do at all of my events is I am at the receiving line at the door of the events and I talk to everyone as they walk in. I do a dinner and I go to every single table and I encourage every person there that is in the magazine industry to do that. I took the NYU publishing course back in the ‘70s and the first exercise that we did was to ask what is the personality of a particular magazine. Who would that magazine be if it was a person? And I believe that we’ve gotten away from that. And I think that digital is making it harder to do that. 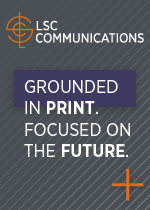 So, what a print product does is; when you’re creating a print product, you have to pace it like a human being and it has to be like a human being. It has to have good days and bad days; it has to have good taste and bad taste; you have to take risks. And that’s my advice. I love what we do as publishers. I think it’s the most exciting thing that you can do in the world because you are the mayor of the niche in a sense. Samir Husni: One of the phrases I use in my consulting and in all my work since I graduated in the early ‘80s is “humanizing print.” I give the editors a magic wand and ask them to strike their magazine and describe the human being that would appear. David Adler: That’s it. That’s why we love what we do because we see it that way. It’s the context in which we look at what we do. If we’re just selling ad pages, we’re dead. I do this poll before every event I do and it’s to see how many people love their job. And every hand in the room goes up. And then I say, okay forget the technology, just look around and take it all in. It all comes down to Maya Angelou and her “it’s not what people say, it’s how you make them feel.” A magazine and a human being can make you feel really great. When I get my magazine that I love, I feel like I’m in that club. And I think that’s what people need to have again. And sometimes I don’t get that when I go online. Samir Husni: If you reflect back on your life, between the entrepreneurial part with the Washington Dossier and BizBash, and working for a company like PriMedia, is there a different feeling? When you were with PriMedia, did you really want to wake up and go to work? David Adler: Yes, I did, I really did. I loved PriMedia; I loved the idea. And what I found to be the common denominator among the magazine people was the innovation of the content and the business side together. I love communications and I knew all of the magazines; I had a newsstand in my office with 350 magazines from Hog Farmer to New York Magazine. And we were doing incredibly interesting things that helped promote the whole company. So, you had to look at it a little differently. And going to each one of the brands and seeing the passion that each one had was really interesting. Now the corporate people needed more of the feeling of what it was like to be in the brand. 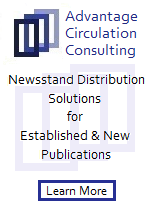 At the corporate level the interesting thing that we did was we kept the event budget for all of the magazines, the brands at the corporate level, so we were able to get the management team involved in the local events for Seventeen and Soap Opera Digest and brands like that. So, the main reason was we wanted to use it to engage the street and Wall Street so that the analysts could see what was inside these brands. And it was a really interesting strategy because you want to get the investors to feel as well. It still comes back to Maya Angelou, you know? It comes back to what do they feel about this thing. So, when we’re able to bring them to the New York magazine events, they got this feeling of this company has something below the surface that is important. And the fact is, we knew all of these niche markets because we controlled the budgets on them, and it was collaboratively, it wasn’t like it was a Wizard of Oz type of thing. But they were able to get more money from us from the corporates, so they were very nice to us too. And it solved some of the political problems. David Adler: I think the magazine business is really hard now and it’s all corporate-driven, so everybody is afraid to do things and they’re afraid to make changes. That’s a hard thing and I don’t know how to solve that problem entirely. But I think scaling in certain areas is a good thing and trying things that don’t work makes you stronger. Samir Husni: Here’s a question that I borrowed from one of our graduate students who now works for 60 Minutes, she asked Paul McCartney: what do you think is the biggest misconception about you? David Adler: I think some people think that what I do is lightweight. And what I have found is that I have studied the social physics of how humans gather and how important it is. People used to not take us as seriously as they should. I used to feel that people in the event industry were sitting at the children’s table for Thanksgiving, but now when you see the books about social physics and the studies of how important conversations are at an event and how important learning and development is and how important having fun at events actually adds to the learning experience. I think people begin to take me more seriously the minute I start talking to them about the most powerful word in the English language is the word “let’s,” because whenever people get together they say “Let’s go to lunch,” “Let’s go to dinner,” “Let’s hook up and start a revolution.” It actually is true. David Adler: I’m doing a lot of audio books now. And I’m totally into things like sapiens and I’m listening to “Civilization,” which is a 40-hour, 10-book series on all of the different civilizations. And I get such joy out of listening. I’m an auditory learner, so listening to books is really good. I love watching television too; I’m a total news junkie. I grew up in Washington D.C. and the idea that I’m the mayor of the news comes from the idea that I grew up in Washington and I always wanted to run for office. Then I found out that being the publisher of a media company or a magazine is even better. You get all the good, but not the bad. David Adler: One of the things that I get ragged on is that I have a million ideas and I am obsessed with actually executing the ideas that I come up with. And making sure that the ones I want to do, I really do well. And to me it’s I want to finish that job; I want to finish this job. But at the same time, I want to go to the next thing too. So, it’s like there’s not enough time. And I love the idea of learning how to do stuff. I think what technology has given me is the ability to try stuff on my own so that I know enough about it that I can go to another person and say what about this? Or what about that? Like I learned how to do my podcasts, so I completely learned how to do everything about audio editing. And I learned how to remove sound; I learned how to remove noise and change pitch, just all of that. But I don’t do it myself anymore, but I ask can we remove this sound or that? And sometimes I have to do it myself, but most of the time it’s me managing other people. Learning and development is the key to life I think.